DNA testing could help families who lost loved ones in the Sept. 11, 2001, and terror attacks could get closure. Andrew Siff reports. For 16 years, scientists at the missing persons unit at the offices of the chief medical examiner in New York City have been examining remains and looking at bone fragments from thousands of tons of dust pulled from ground zero. Of the 2,753 victims who died in the 9/11 attacks, 1,638 have been identified. But 1,112 have not. Leon Smith was one of the 343 fallen firefighters and one of the six men on Ladder 118, the fire truck pictured making its last run on the Brooklyn Bridge in the iconic cover of The Daily News. His mother Irene's heartbreak is incalculable. "I can't even bury Leon, because I don't have no remains to bury him," she said. 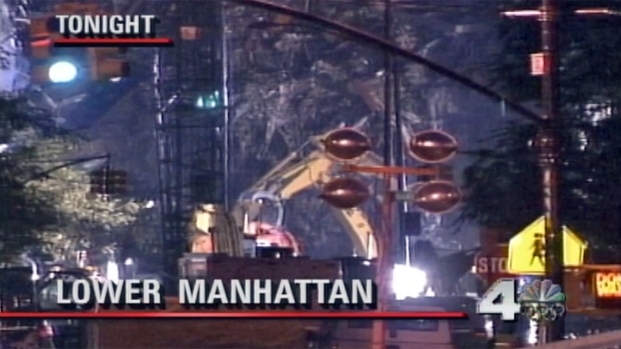 One week after the 9/11 attacks, New York City was still searching for survivors in the rubble and looking for the airplanes' black box recorders. Watch the report from downtown. 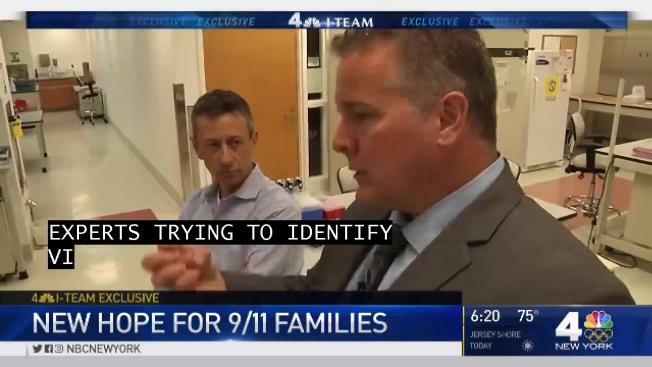 A full-time team of DNA experts are still working to identify victims of 9/11 at the medical examiner's office on East 26th Street. "The dedication of this team and this agency is as great today as it was in 2001," said Mark Desire, an assistant director for the medical examiner. "We hold these remains very sacred. This is an honor and a privilege to be working on this project," he said. Inside a room labeled "bone grinding" on the sixth floor, scientists are re-checking bones that once showed no trace of DNA. "Using an ultrasonic solution with liquid nitrogen, we can create that very fine powder we've never been able to before, break the cells open, incubate them and extract the DNA," said Desire. The team compares what they've found to hair and fiber samples donated by the families. Last month, there was a breakthrough: a newly confirmed 9/11 victim, the first identification in two years. The name of the victim was not released at the family's request. "It was a big day for us, for all of us," said forensic scientist Veronica Cano, who was just 15 years old on 9/11. "I cannot imagine having a funeral with no body at all," she said. "For me to help them find answers, that's very rewarding to me." That reward has so far proven elusive for Leon Smith's mother, but she knows the work endures. "Sooner or later, they're gonna find Leon's remains," she said. "And I'm gonna bury my son."